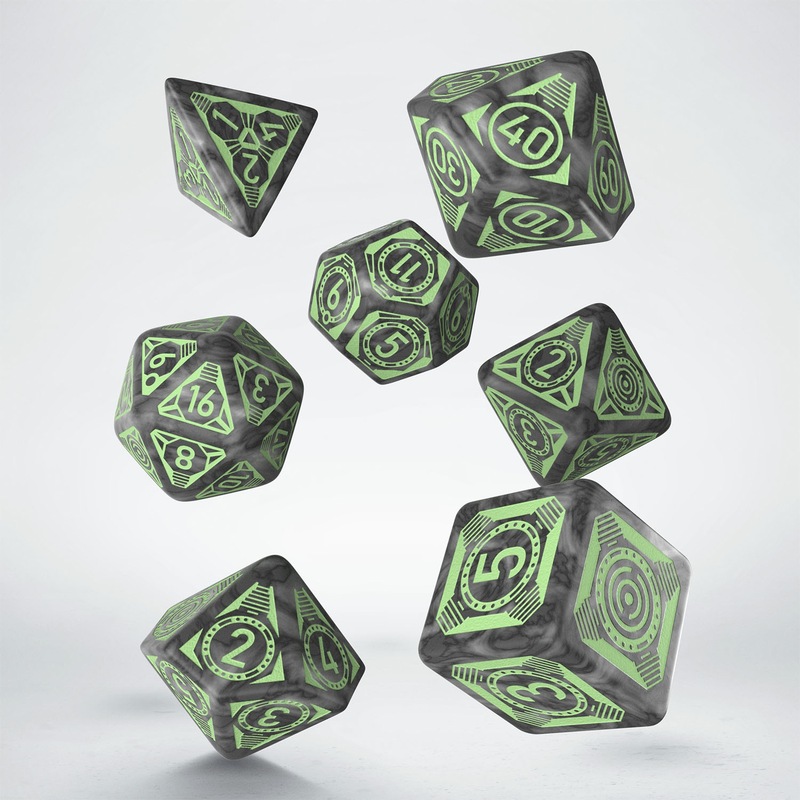 Q WORKSHOP and Paizo are proud to bring you the official Starfinder dice set for the Against the Aeon Throne Adventure Path! Each of the seven star-spanning dice feature designs inspired by the Azlanti Star Empire and its elite Aeon Guard. Roll the dice and fight against the tyranny of the Aeon Throne! These really evoke the feeling of the Azlant Star Empire! Got these yesterday & love them. Much nicer design than the Dead Suns dice, which are good too. Pretty and quite legible as well. I might need those for reasons. Finally you list these, thank you. I bought the "Dead Suns" dice & will buy these & the "Signal of Screams" dice too. Don't know about the "Dawn of Flames" dice yet, as so far an entire AP in the bubble cities of the sun & on the elemental plane of fire doesn't excite me much. I'm pretty picky about the legibility of my dice, but these look quite nice! I like. They are available from Q-workshop site itself. Not sure why Paizo lists them as unavailable.